The American International Motorcycle Expo’s purpose is to serve as the catalyst to bring together industry, press, dealers and consumers in a single arena that creates a grand stage for motorcycling and powersports in the U.S. and North America, and delivers an efficient and energetic market-timed expo platform for B2B and B2C in the greater powersports industry. 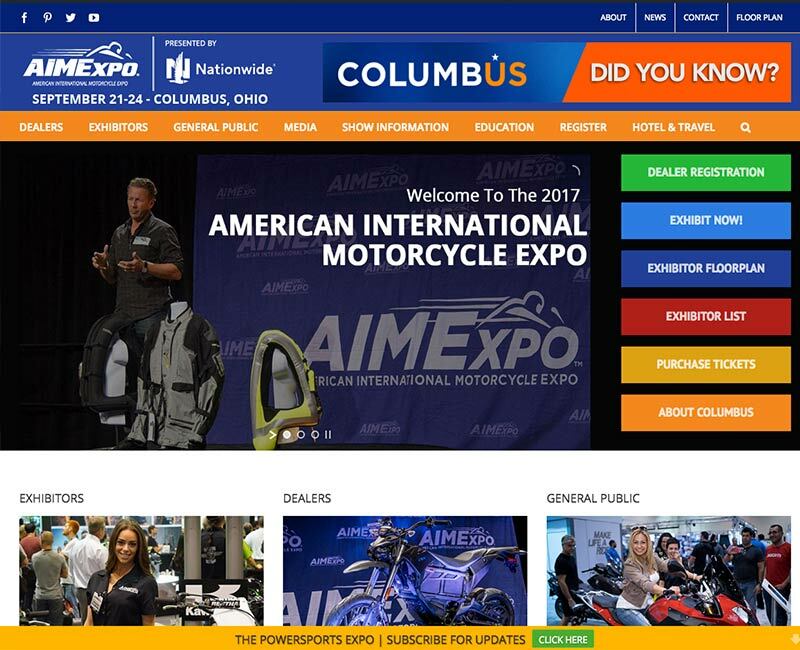 AIMExpo is the single most important event of its type in the North American market and has international impact within the motorcycling and powersports community. 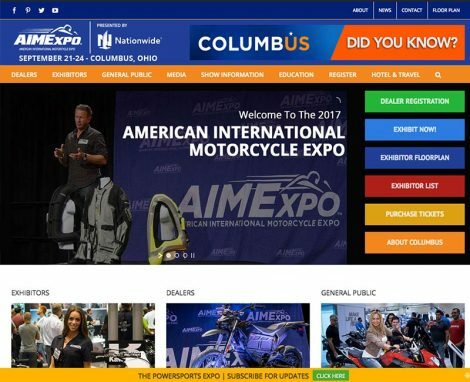 For the second year AIMExpo was honored in Trade Show Executive Magazine’s Fastest 50, recognizing the fastest growing trade shows in the U.S. AIMExpo is produced by the Motorcycle Industry Council.